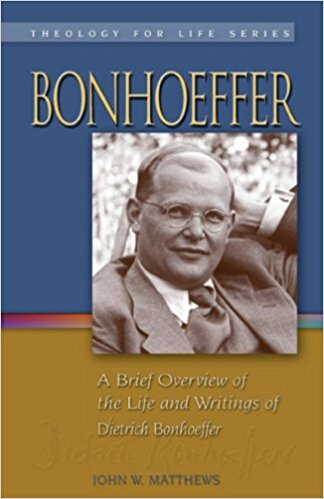 Dietrich Bonhoeffer s life spanned four decades of the early twentieth century and was shaped within the crucible of two European wars and an economic depression. Born in 1906 and raised in an upper middle class German family, he was educated to be a pastor, further trained as a theologian, involved in a plot to assassinate Adolf Hitler, and was finally hanged by the Nazis only days before the end of World War II. His life story is more than one more tragic episode in the history and horrors of the Holocaust. Bonhoeffer s life cannot be simply summarized as only one of trauma and tragedy. His was also a life filled with great blessing, even when requiring great courage and incredible sacrifice. His relationships were life-giving and his experiences were rich. The authenticity of Bonhoeffer s Christian faith and the integrity of his theology continues to inspire people. During that time when most people understandably struggled to protect their own lives, as well as the lives of those they loved, he often ventured by faith into uncertain territory,risking his reputation and life to advocate for others. Rarely does one encounter an individual whose inner convictions and outward actions so consistently and courageously match-up.